VW camper van & beetle coasters / beer mats. Get ready for the camping season with these quirky mats to protect your furnishings and be a hit with VW and camping fans alike. Also great as wedding favours or party table decorations if you have a retro theme.Beer mats are made from absorbent Pulpboard printed on both sides, 93mm Square with rounded corners. 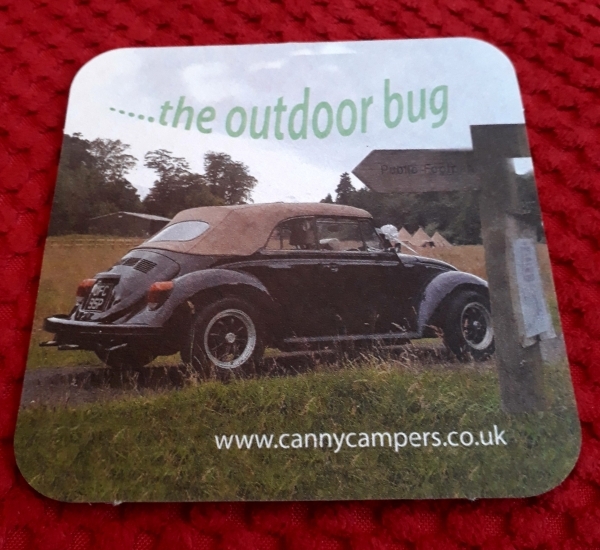 Thickness: 1.4 mm.On one side is a daytime picture of a VW beetle with a festival tent in the background, printed with the words “the outdoor bug” at the top. 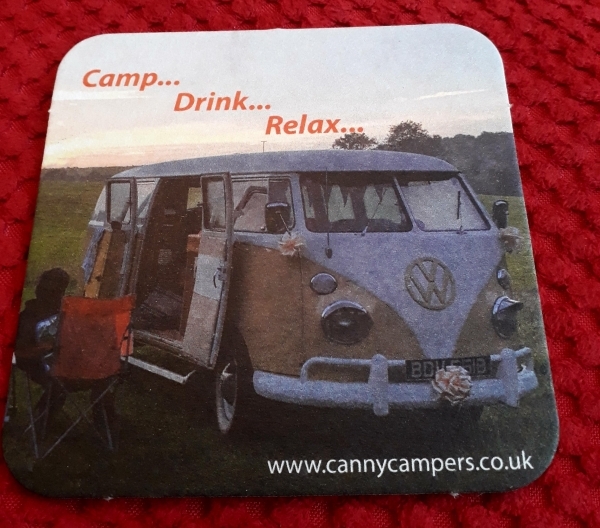 The reverse side is a picture taken at dusk of a camper settling down to watch the sunset beside a VW splitscreen campervan with the words “Camp, Drink, Relax” at the top. Great as camping accessories to keep your tables from getting marked and avoid those annoying drips down your best white Tshirt!